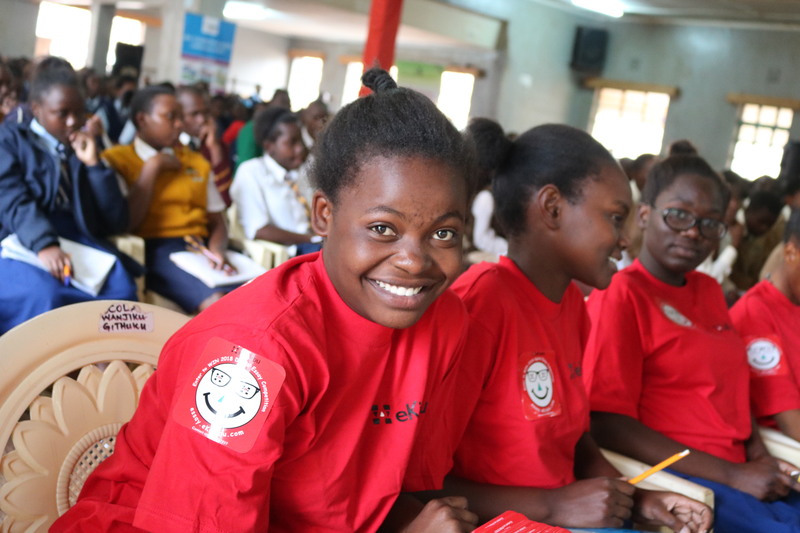 2018 Digital Essay Competition Secondary School Launch was held in Loreto Kiambu Girls High School on Friday 8th June 2018 from 2pm to 4pm. In attendance were competition partners and sponsors, publishers, neighboring schools, parents, teachers, students and invited guests. The guests who attended the launch included Pauline Moutaux from French Embassy in Kenya, Jonathan Maranya from Kenya Institute of Curriculum Development, Amina Sharbaidi from CEMASTEA, Anee Chege from Thika High School for the Blind, Priscilla Karanja from Longhorn Publishers, Peter Osumba DVC Zetech University among others. Students were excited and looking forward to participate in the competition, teachers were also ready to support their school to win on the 2018 Digital Essay Competition. It was a honor to be hosted by the school Deputy Academics Principal Mr. Omondi and our contact teacher Mr. Paul Thairu.